The Locus has 3 options for your New Year’s eve dinner. Visit their site to make your reservations online. Main St. Honey Shoppe has a wide selection of honey based products that are perfect for gifting. Affordable gift baskets of any denomination, premium loose leaf teas and all sorts of cute accessories are available. Of course our dozens of honeys are available in gift packs and in the size of your choice. Go give them a visit for your last minute gift shopping and stocking stuffers. The Locus has a custom New Year’s eve dinner with plenty of choices for each course and a wine pairing option for only $20 more. Check out the details here. 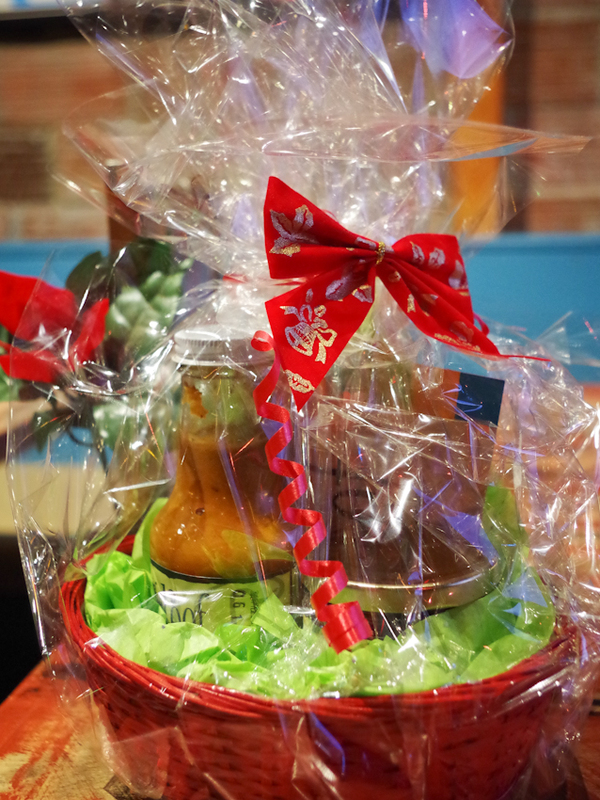 The Reef has got a $15 gift basket of their hot sauce and jerk marinade available at all their stores. Pre packaged and ready for gifting. You can also buy the sauce or marinade individually for stocking stuffers too. Only $7/bottle or jar. If you order 4 or more on the 15th they’ll throw in free shipping to BC and Alberta! Order yours at the restaurants or online.